"The week after Pearl Harbor I enlisted in the Army Air Corps. They were taking almost everyone. I went to California for pilot training. 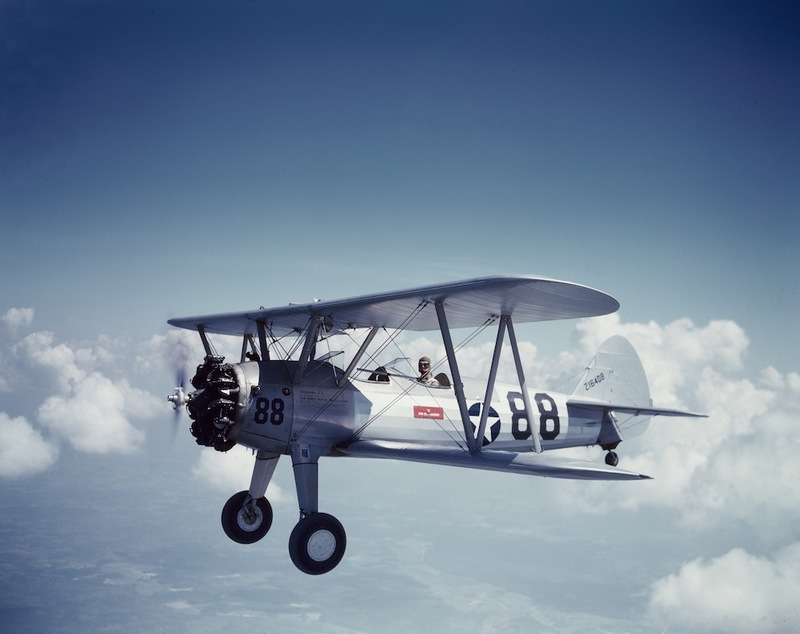 I couldn’t fly the PT-17, the Stearman. I washed out in twelve hours and six minutes. I was commissioned as a navigator at Mather Field, Sacramento, California, on October 10, 1942." Most navigators in the Army Air Forces started as pilot cadets who “washed out” of pilot training, often in a PT-17, such as the one seen here. Good math skills were considered essential for those who made the transition to navigator.